You'll be £25.00 closer to your next £10.00 credit when you purchase Henry Harwood. What's this? Henry Harwood is best known for his destruction of the Admiral Graf Spee at the Battle of the River Plate in December 1939 about which Winston Churchill, then First Lord of the Admiralty, said: ‘This brilliant sea fight takes its place in our naval annals and in a long, cold, dark winter it warmed the cockles of the British hearts’. Despite that great victory Harwood remains, until now, one of three great British naval commanders of the Second World War who is without a biography. Admiral Sir Henry Harwood’s wider naval career was remarkable and epitomised the Royal Navy in the first half of the twentieth century. He became a naval cadet in 1903, specialised as a torpedo officer in 1911, and for his services in the First World War was awarded the OBE in 1919. He was one of the Navy’s intellectuals, gaining first class passes in all his examinations and, during his interwar service on the South American station, learning Spanish. During his service in important staff appointments and at the Imperial Defence College, he made a particular study of international relations and, in the light of perceived fallings at sea in the First World War, of tactics and command. He was thus well-qualified when in 1936 he became commodore in command of the South American division of the America and West Indies station, and well prepared to meet and defeat the German pocket battleship Admiral Graf Spee with his inferior force of cruisers in 1939. He was promoted assistant chief of the naval staff at the Admiralty, and, in 1942, appointed Commander-in-Chief, Mediterranean, in succession to Sir Andrew Cunningham. Then, commanding a fleet too enfeebled for its tasks, he found Montgomery plotting against him and Churchill losing confidence in him before being relieved of his command. Invalided out of the Navy in 1945, he was wrongly blamed by some for the Navy’s perceived failings in the Mediterranean; he died at a relatively young age in 1950. The author has been given exclusive and unique access to the Harwood family archives and, in the light of these previously unpublished papers, has set about rehabilitating the character, career and achievements of this great British admiral. For all historians and enthusiasts of the Royal Navy in the Second World War, this will be essential reading. This is not only a fine biography but it gives valuable insight into respect for Britain in South America...Peter Hore has been given exclusive and unique access to the extensive Harwood family archives and, in the light of these previously unpublished papers, has set about rehabilitating the character, career and achievements of this great British admiral. A great book that deserves a very wide readership and totally vindicates its subject. Your Harwood book is very fine, and I finished reading it today with greatest understanding and enhanced knowledge. Those were difficult times in the eastern Mediterranean and dealing with Montgomery on the one hand and Pound on the other must have been infuriating. As usual, Seaforth has done a superb job. … I will remember your fine work and exquisite writing. 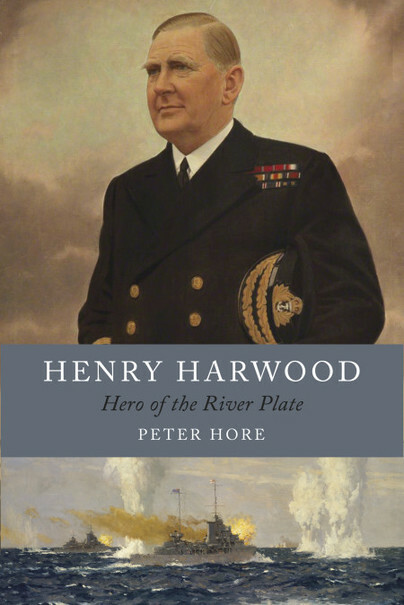 Peter Hore’s Henry Harwood fills an important gap among the biographies of outstanding WW2 Admirals. Harwood’s two Sons gave Peter unrestricted access to his diaries and family papers including informative accounts in letters to his wife, Joan. This is a historically important naval biography with every source fully referenced in detailed chapter notes. Peter Hore's biography is a detailed, fascinating look at Henry Harwood's life and career. The author, who has had access to the documentation and personal correspondence of Admiral Harwood made available by his descendants, has accompanied this valuable volume with a full body of notes (filled with additional details and clarifications), with a vast and diversified bibliography and with a well-made analytical index, of fundamental importance in a biographical essay of high quality, in the best tradition of the Seaforth Publishing House. Hore's account of the battle and his analysis as it progresses are very clear, succinct and informative. Difficult to put down. You (the author) have that rare knack of engaging your reader from start to finish. What a brilliant piece of work on Henry Harwood. Congratulations on putting together work which explains, in an utterly readable way, the life and huge successes of a colourful and great leader, who we should all have studied years ago, while putting into perspective the awful attitude of Tedder and destructive relationship with Montgomery. That he shouldered this terrible burden at the end of his career is a tribute to him, although I agree that it will have hastened his death. Good cover, good font, good paper, etc. I found ALL the charts really useful and constantly referred to them. I think you (the author) and Seaforth have done each other proud. In my eyes it emphasised just how badly he (Henry Harwood) had been treated by those he was trying to support and those who should have supported him. This is particularly so with regard to Montgomery. I suppose one shouldn’t be surprised by his attitude as North Africa tended to be all about him. While Churchill is a bit of a hero in my eyes in this case he seems to have forgotten that a lot of his glory was down to Admiral Harwood. CAPTAIN PETER HORE, RN, now retired, is a former Head of Defence Studies for the Royal Navy. He is the author of numerous books, and is currently Associate Editor of Warships: International Fleet Review. He is also a fellow of the Royal Historical Society and Vice President of the Royal Naval Museum. He recently edited Nelsons Band of Brothers.